It’s every entrepreneur’s dream to help their business thrive and grow into at least a medium-sized enterprise. The numbers may not be very encouraging, but if you take into account that most large companies that we know today started as micro-enterprises, often without any offices, you have to believe that it’s possible to make such transition. Still, you have to be aware that there are many obstacles on the way to the top and that you’ll never get there unless you overcome them. The better prepared you are, the better your chances of achieving success, and you also have to make sure you prevent any realistic problems from occurring in the first place. That will not only help you achieve better results, but you’ll also avoid having to deal with various distractions. 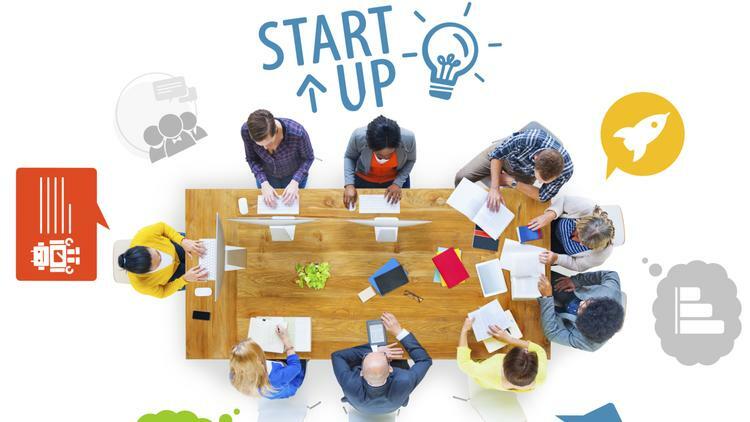 So, what is it that a startup owner needs to do? Needless to say, no matter how great your business idea may be, you won’t get very far if you don’t have the right people to turn your idea into reality. You need to know exactly what professional and personal characteristics successful candidates should have. The sooner you get the right team, the sooner you’ll be able to achieve your targets. Making a mistake in the recruiting process means that you’ll have to interrupt the work process and focus on finding a suitable replacement. Even with the right people and the right idea, you still run a risk of failing if you don’t know how to manage your finances. Having enough funds for setting up a business is crucial, but you also need to be careful when planning your expenditure before you actually start making enough money. The most typical problems for startups include underestimating startup costs, monthly expenses and setting a wrong price for the product or service. That’s why, for example, many startups in Australia, which is recording an increasing number of new businesses, are choosing to hire experts in financial services in Sydney to help them with all the matters related to finances. Your company culture will evolve as your business grows, but you need to make sure you start well. Your beliefs and mission should be at the core of everything you do, clearly reflected in every aspect of your business. If your employees share your vision and are clear about what is expected from them, they’ll be more focused on the tasks, which will greatly improve your productivity. Even though it’s difficult to find finances to advertise your offer before you actually start generating income, you simply have to invest in advertising. Luckily, you no longer need to spend a lot of money on print advertising material, which does cast your net wide, but is generally inefficient. Instead, focus on the benefits of digital marketing, where it’s much easier and cheaper to target specific groups. Have a word with an expert in content marketing, for example, and see how they can help your business. The one thing without which there is no success in the business world is the customers. If no-one is interested in what you are offering, your entrepreneurial story will be over very quickly. On the other hand, providing exactly what the customers want, at an affordable price and with great customer support will help you create a network of loyal customers, who trust your brand. You have to be ready to hear what they have to say about your product and turn their suggestions and complaints into reality and their satisfaction. Establishing a loyalty programme is one of the most efficient ways of making a startup popular. You need to remember that satisfied customers are your most trustworthy promoters. These tips are just some of the most important ones for every startup, regardless of the line of business. Naturally, there are other aspects of running a business that require your attention, but the tips given here deal with the most typical problems. If you manage to overcome these challenges and learn from any potentially problematic situation, your business will have much better chances of surviving the initial phase and developing into a reputable enterprise.